The Bar Mash Old Fashioned riff features a staff-selected Four Roses single-barrel bourbon, making for extra-special sipping. 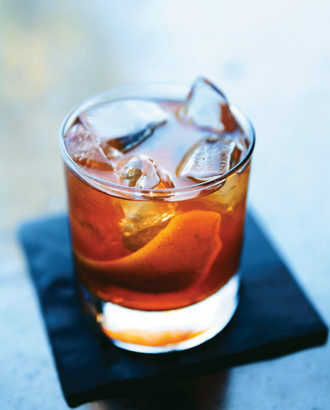 Muddle the orange peel with the simple syrup in an Old Fashioned glass. Add the bourbon and bitters and stir, then add a large chunk of ice and stir to chill. Twist a lemon peel over the drink to express the citrus oils and discard.